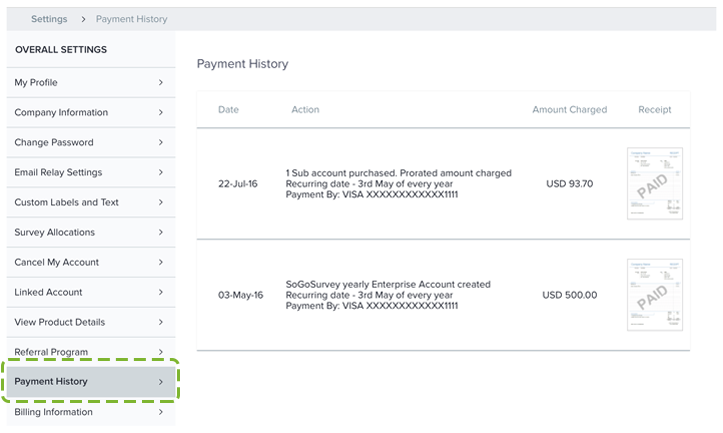 The Payment History section lists all transactions related to your SoGoSurvey account since its beginning. Payment receipts can also be found and printed under this section. Select Payment History in the menu on the left.